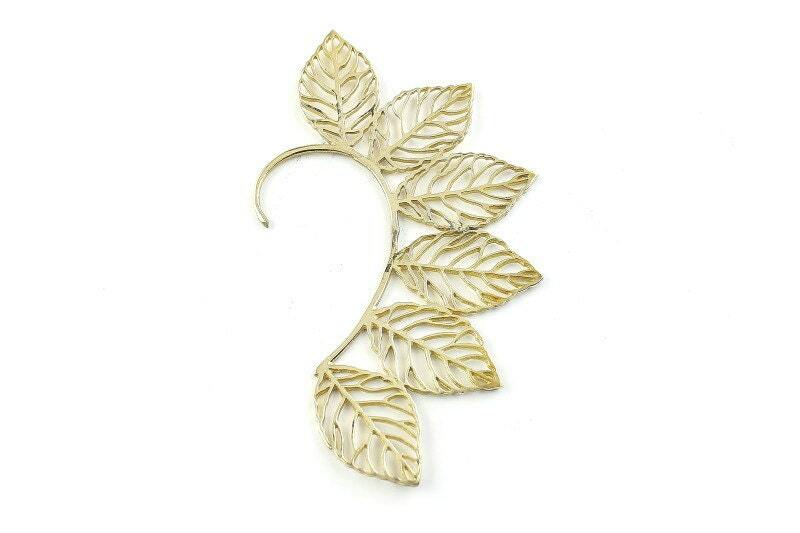 A series of brass leaves make up this ear wrap. Super cute! Can be a little uncomfortable on the ear if you wear it for a long time.